Rock star Conrad Birdie is the biggest thing to top the charts. Women love him, men want to be him and teenage girls around the country scream with glee at the mere mention of his name. But when the United States Army drafts Birdie, manager Albert Peterson sees his meal ticket preparing to fly the coop (much to the delight of longtime love Rose Alvarez, who can’t wait for Albert to ditch the music biz and become something respectable, like an English teacher). Desperate for a publicity stunt big enough to help them survive Birdie’s departure, Albert and Rose hatch a plan: send Conrad to small-town America to plant his goodbye kiss on one lucky fan for the entire world to see. Their selection of super fan Kim Macafee sends the wholesome enclave of Sweet Apple, Ohio into chaos. Kim’s boyfriend, Hugo, can’t take the humiliation of his lady love’s televised lip-lock. Rose can’t take another minute of Albert’s distracted ways. And Sweet Apple can’t take its teens’ riotous rebellion, inspired by the arrival of bad-boy Birdie. Will Sweet Apple ever be the same? 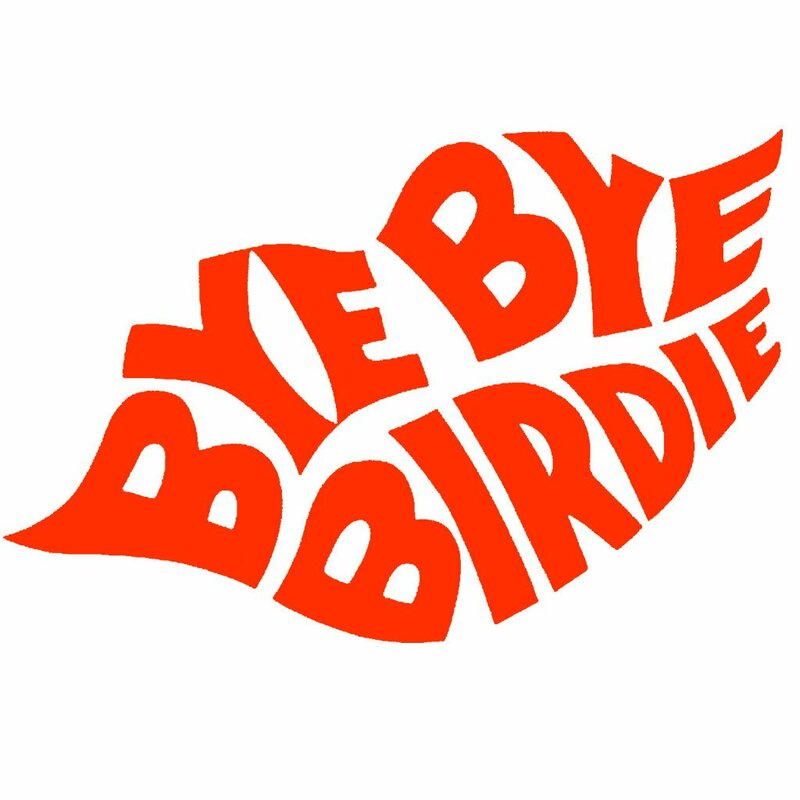 BYE BYE BIRDIE is presented by arrangement with TAMS-WITMARK MUSIC LIBRARY, INC.